Here’s a better way to enjoy your iced coffee. We’ll be celebrating National Coffee Day with the #new SG220 and Coffee Ice Cubes! Make these coffee ice cubes simply by filling an ice cube tray with coffee from your SG220 and freezing it over night. Prepare coffee as you normally would and pour over the coffee ice cubes. When the ice cubes melt, they won’t dilute the iced coffee flavor. If you prefer, you can also pour milk or creamer over the coffee ice cubes for a refreshing treat. A frosty glass of iced tea pairs perfectly with summer weather, so we’re sharing iced tea extras to kick up this summertime beverage. These twists on tea are perfect to try in our Iced Tea Maker. Do you have a favorite addition to iced tea? Simple Syrups. Sweeten with simple syrup instead of granulated sugar to allow the sweetener to dissolve more easily into the iced tea. To make simple syrup, heat 1 cup of water and 1 cup of sugar until the sugar dissolves, cool before using. – Or, jazz up your iced tea with other sweeteners such as honey, agave nectar, stevia or flavored syrups. Have fun with fruit. 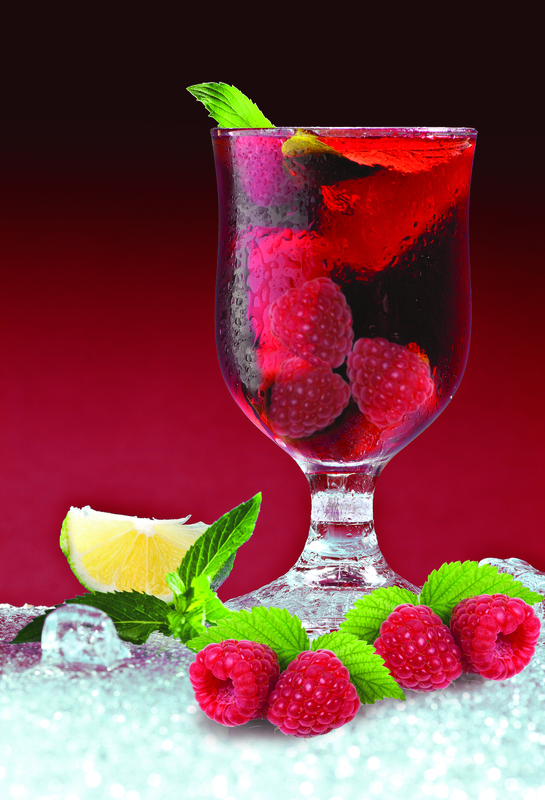 Add fruits for a refreshing flair to iced tea. We suggest lightly muddling the fruit with a wooden spoon in the Iced Tea Maker pitcher to release the flavorful juices before brewing. – If using canned or jarred fruit, add the juice/syrup from the can for extra flavor and added sweetness. Play with herbs. Adding herbs can also kick up the flavor of your cup. Choose from lavender, mint, basil, spearmint, jasmine, chamomile, rosemary and many more for an invigorating take on tea. Tea Cocktails. Feeling rowdy? For delicious adult tea cocktails, add 1 cup of your favorite liquor such as vodka, gin, rum or tequila directly to the pitcher. Custom Blend. Mix different types of teas or mix flavored and unflavored tea for delicious custom blends. We suggest using half flavored tea bags and half black or green tea bags for a delightful twist. Sparkling Tea. Shake your thirst with sparkling iced tea. To make in the Iced Tea Maker, only fill the water tank half way for brewing then add 12 oz of cold sparkling water or seltzer to the pitcher after brewing. To find out more about Capresso, visit www.Capresso.com. You probably love to cozy up with some hot chocolate during the winter, but have you ever thought about turning it into an icy, refreshing drink? The Capresso froth TEC makes it easy to recreate this winter classic into a summertime treat. Place the frothing disk into the froth enhancer of your Capresso froth TEC and ensure it is securely snapped inside the bottom of the milk pitcher. Add chocolate milk to frothing pitcher. Place lid and press the Cold button. Slowly add powdered hot chocolate, one tablespoon at a time. Meanwhile, fill 2 glasses with crushed ice. Wait for frother to automatically shut off. 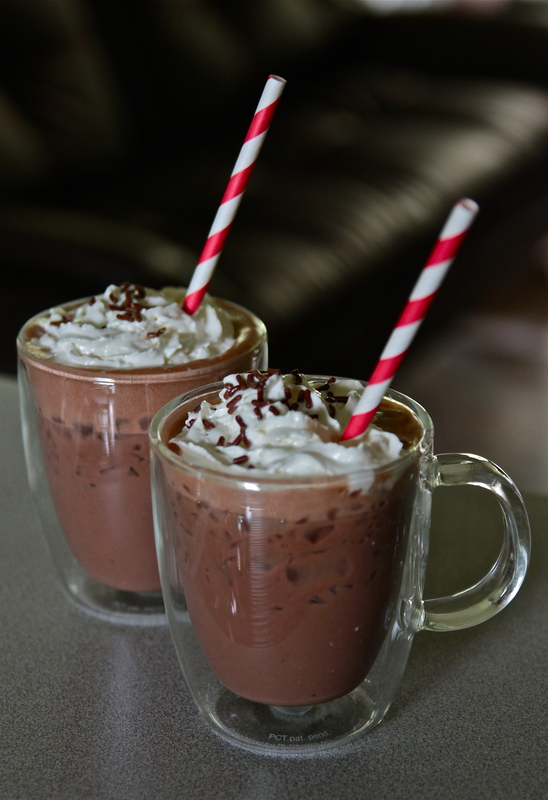 Pour mixture over the crushed ice, top with whipped cream and chocolate shavings or sprinkles. Serve immediately.